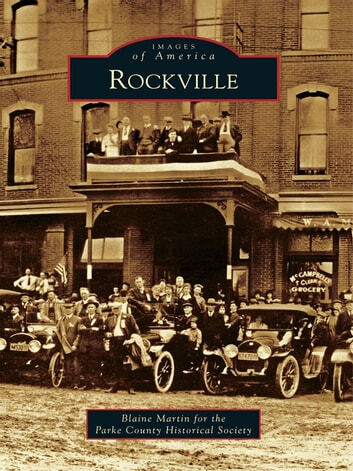 Rockville began in 1824 as the seat of justice for the newly established Parke County. A small brick courthouse was built, and a fledgling community soon sprang up around it. Within a short time, blacksmiths, furniture builders, harness makers, grocers, druggists, and dry goods salesmen were calling the new public square home. Then over a period of 13 years, beginning in 1870, the face of Rockville was drastically altered as fires destroyed the early buildings. The newly resurrected town would look quite different. As the rebuilding occurred, an exceptional example of small-town Italianate architecture emerged. This new Rockville looked much different than its haphazard Colonial-style predecessor. Three-story brick and stone buildings replaced haphazard one- and two-story wood frame structures; concrete sidewalks replaced wooden walkways; awnings, ornate cornices, and large architectural iron and glass storefronts became the standard. 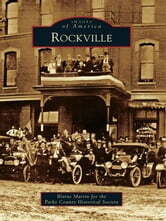 It was during these years that Rockville began to resemble the quintessential American small town it is today.